Prince Philipp recently gave an interview to NU, an Austrian Jewish magazine for politics and culture. Apart from banking and finance, he also talked about Princess Elsa, the Jewish-born wife of Prince Franz I of Liechtenstein. Below a few translated excerpts from the interview. The full one can be found here. Not many people know that there once was a Jewish Princess of Liechtenstein. What is the story of Elsa of Liechtenstein? Franz I, direct predecessor of my father as Prince of Liechtenstein, had a very interesting personal history. He was ambassador in Saint Petersburg, friend of the Tsar, bought whole libraries in Russia and gave them to the University of Vienna. He was a honorary member of the Austrian Academy of Sciences. After the death of his brother Prince Johann II in 1929 he became ruler of the Principality. He remained a bachelor for a long time, until he met and later married Elsa von Gutmann. However, their marriage did not produce any offspring and so my father inherited the throne. How did Franz and Elsa meet? He visited Vienna regularly and Vienna had a very open society. Thus the two of them met, later married and spent a very happy life together. He moved to Prague in 1938 and died there. Then my father took over. Aunt Elsa moved to Switzerland where she spent World War II. She lived near Lucerne until her death. How aware was your family that she came from a Jewish family? It didn't play a major role. Of course you have to remember that the society back then was much more open. I find that this is also shown very well in the Jewish museum here in Vienna. Vienna and Judaism were very much connected. ...and that was the interesting thing about the city. The diversity, the multilingualism, the many different cultural backgrounds - something few cities had around that time. If I compare that to France: There they only had French, the people rarely knew any foreign languages. Here you only moved little and already spoke Czech, Hungarian, Croatian and so one. Such an immense treasure! Elsa von Gutman came from an enobled Jewish family: Her father was a knight, enobled by Emperor Franz Joseph I but at the same time very active in the Jewish community, in fact he was their president. Yes, this is one of the great signs what an open society Vienna had. Franz I and Elsa were the first who showed a greater interest in Liechtenstein? The original main residences of the family were in Vienna, Bohemia and Moravia. Towards the end of the 17th century the territories of today's Liechtenstein were bought. Now and then family members visited, schools were built, the school system reorganised and so on. Franz and Elsa then did a lot for the people of Liechtenstein and to this day Aunt Elsa is considered the "good Princess". My father moved to Liechtenstein in 1938, considering what was happening at that time in the countries around us, I can only say, Thank God. 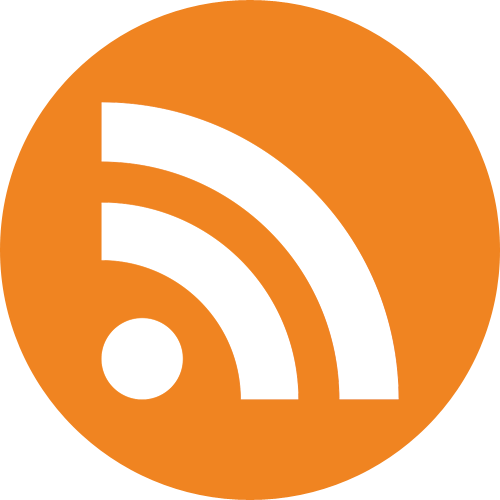 The interview then continues via Jewish community of Liechtenstein, the country during World War II to Liechtenstein's post-war development and banking and finance. Luxembourg’s most famous non-grand ducal castle is probably the Château de Vianden, Burg Vianden, or Buerg Veianen, depending on which of Luxembourg’s three official languages you prefer. 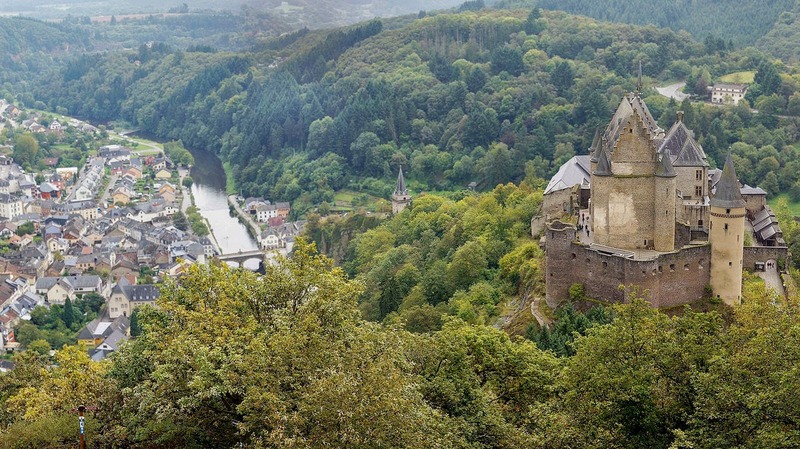 Château de Vianden perches more than one thousand feet (310 meters) on a rocky cliff, overlooking the city of Vianden and the River Our that flows through it. Imposing towers and five gates, with one served by a drawbridge, protected Château de Vianden during its medieval days. After serving as the Counts of Vianden’s seat of power for centuries, the castle would eventually be neglected and fall into ruin. But a committed restoration project in the late 20th century saw Château de Vianden restored and returned to its former glory. There has been a structure on the site of Château de Vianden since the age of the Romans. In fact, the town at the time was known as Viennensis. A castellum, of fort watch tower, is believed to have sat there originally. Historians also date the basement of the castle to the 9th century, when it was a Carolingian refuge. Additionally, the Carolingians erected a decagonal tower, which would later become the castle’s chapel. The first mention of a Count of Vianden occurs in 1090, and construction on the Château de Vianden appears to have begun right around the beginning of the 12th century. 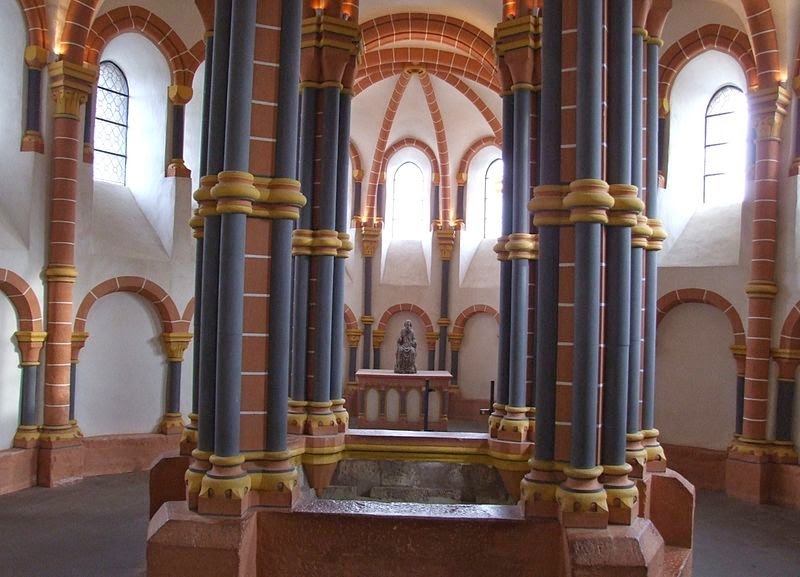 Early construction resulted in a keep, a kitchen, a chapel, and rooms for family members, all built in the prevailing Romanesque style of the day. Within the next fifty years, the palace within the castle grew, receiving a residential tower, as well as the large and unique chapel that was placed in the Carolingian decagon. This chapel spans two levels, connected by a central opening. The Vianden locals were allowed to attend services and sit in the lower level, while the aristocrats sat in the upper level. (The Count of Vianden was afforded an even higher spot, seated in a balcony in the upper level.) The expanded palace, however, proved insufficient, as a two-level palace was later added in the early 13th century, with a gallery connecting it to the chapel. In the mid-13th century, Château de Vianden received a complete makeover that gave it a Gothic styling. The chapel still reflects the split style history of the castle: the lower level maintains the earlier Romanesque look, while the upper level features Gothic elements. In 1417, the region encompassing Vianden transferred via inheritance to the House of Nassau, although the Counts of Vianden retained their hereditary title. Then, in 1530, Elisabeth, the daughter of Henry II of Vianden, received ownership of the castle and the entire County of Vianden. She chose to will both to her cousin Count Engelbert of Nassau. When this occurred, the Count of Vianden also assumed titles of the House of Orange-Nassau and became the Count of Orange-Nassau-Vianden. The castle changed hands entirely, if relatively briefly, during Willem of Orange’s revolt against King Felipe II of Spain. At one point, the latter took ownership of the castle and gave it over to Peter Ernst I von Mansfeld-Vorderet, who was Governor of Luxembourg at the time. The castle was eventually returned to the Orange-Nassau-Vianden family. Prince Maurice of Orange-Nassau-Vianden added the Renaissance-style Nassau Quarter in 1621, which included a banqueting hall and a large bedroom. This new mansion took the place of a damaged keep dating from the 11th century. After this, though, Château de Vianden fell largely into ruin, as the Counts of Vianden abandoned it as their primary seat. In 1667, lightning started a fire that would affect the chapel and remove some traces of the castle's Gothic look. Such was the merging of family lines that by the early 19th century the Count of Vianden, Willem Frederik, was also King Willem I of the Netherlands. In the process of managing his various properties, he chose to sell Château de Vianden in 1820, to an alderman named Wenzel (Wenceslas) Coster for the cost of 3200 florins. Coster, as was his right as the new owner, began taking the building apart piece by piece: quite literally, he sold doors and windows individually, wood panels from inside the castle, pieces of masonry, and tiles from the roof. Coster also relocated the staircase from the castle, as well as pieces of paneling and furniture, to his home within the town of Vianden. This seemingly wanton demolishment angered the people of Vianden, and William I found himself obligated to buy the now-ruined structure back for 1100 florins. William had the goal of restoring the castle, but he became otherwise occupied in the Belgian Revolution of 1830. In 1851, Prince Henry of the Netherlands took it on himself to begin reconstruction by paying out of pocket for the cost of repairing the chapel. In 1890, Adolph of Nassau-Weilburg became the Grand Duke of Luxembourg and also took ownership of Château de Vianden. He hired the German reconstruction specialist Bobo Ebhardt to take on the full repairs for the castle. 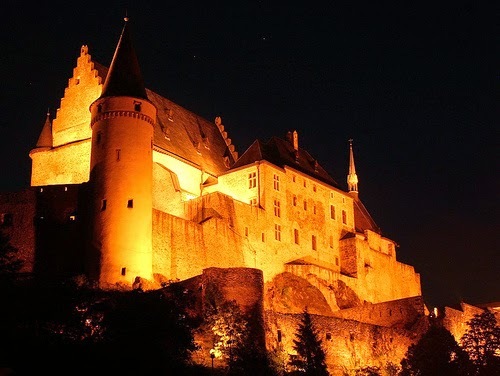 Ebhardt's work was successful, but was also interrupted by the violence of World War I.
Château de Vianden holds an interesting honor from World War II, when the anti-Nazi resistance from Luxembourg held off the Waffen-SS from the castle. Despite the castle’s medieval origins, it proved a sufficient fortification against the modern warfare of the Nazis. The 30 members of the Luxembourgish resistance managed to fight of 250 Germans with only light casualties (1 dead, 6 wounded) against 23 Germans killed. Further restoration work flagged after World War II, but some work resumed in 1962. Then, in 1977, Grand Duke Jean transferred ownership of Château de Vianden to the state. Reconstruction on the roof, walls, and gables began in 1978. The chapel and the tower received a facelift. Between 1981 and 1982, the elaborate Nassau Mansion was restored. Throughout the reconstruction, workers made every effort to return the castle, both internally and externally, to an authentic look. Work on Château de Vianden finally ended in 1990, and the castle is now open daily to visitors. The New Year came a little early in Liechtenstein when 1 FL TV broadcasted their traditional New Year's interview with the acting head of state on December 25. The whole interview with Hereditary Prince Alois, that is about half an hour long, can be found on their website. 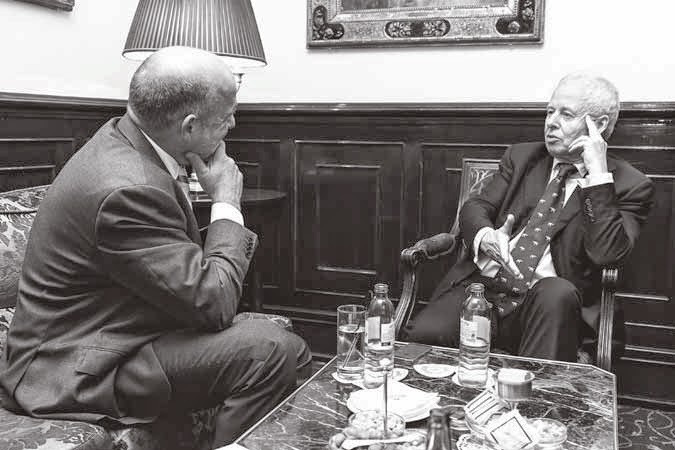 During the interview the regent of Prince Hans-Adam II talks all kinds of matters of state that have kept Liechtenstein busy in 2014 and what awaits the country in 2015. 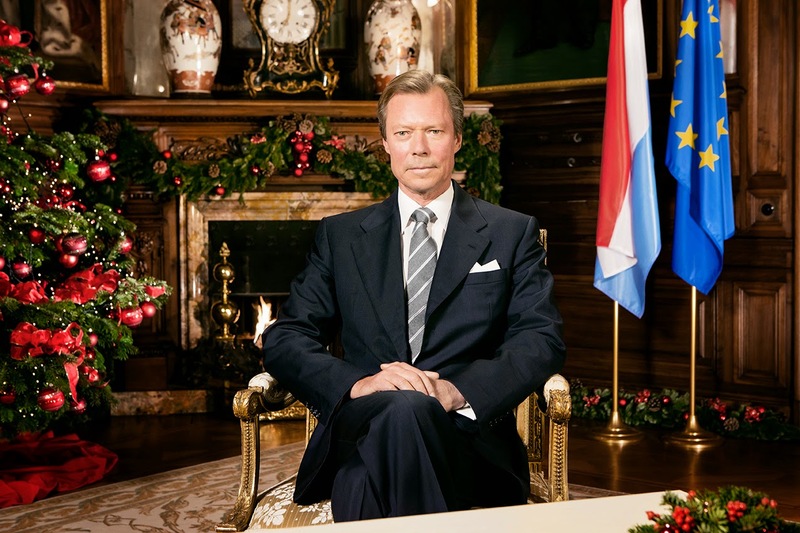 Grand Duke Henri's traditional Christmas speech was delivered right into his "dear fellow citizens" living room - or wherever their TVs are situated - last night. The lovely people over at Wort offer an English translation of the message including a video with the Luxembourgish and French speech. 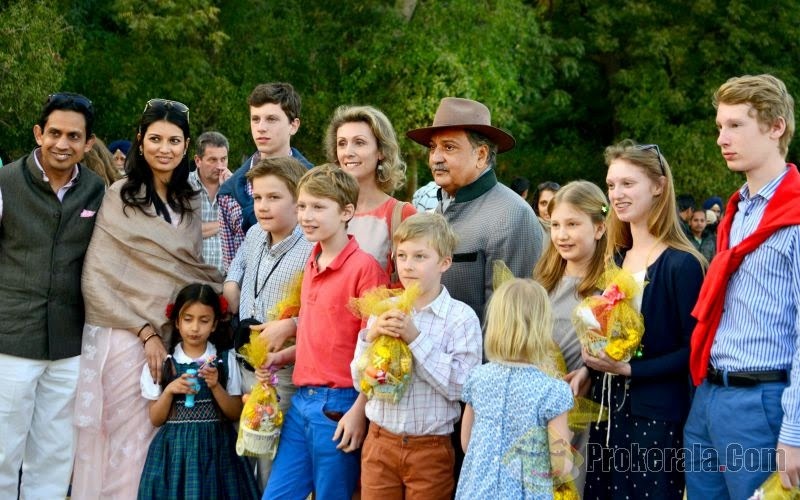 Princess Sibilla and her four children, Prince Paul-Louis, Prince Léopold, Princess Charlotte and Prince Jean, spent their Christmas Day attending a polo match at the Maharaja Gaj Singh Sports Foundation polo ground in Jodhpur today. They were joined by Princess Elisabeth, Prince Gabriel, Prince Emmanuel and Princess Eleonore of Belgium as well as (presumably) Prince Guillaume of Luxembourg and the King and Queen of the Belgians. Princess Sibilla and the children were pictured together with the Maharaja Gaj Singh of Jodhpur. King Philippe, Queen Mathilde and their children also spent parts of their Christmas holiday in Indonesia so I guess that Prince Guillaume and Princess Sibilla and their family did as well. (Actually not, it seems the Belgian press simply got confused and could need a geography lesson or two.) Prince Guillaume, his family and the family of his Belgian cousin King Philippe regularly spent their holidays together. They are not the first members of their family to visit India: Archduchess Marie-Astrid and her youngest son Archduke Alexander spent some time there during the past few years, as did Archduke Imre and Archduchess Kathleen during their honeymoon. It's (almost) Christmas, so it's time to get Christmassy! We'll do so with a woman who influenced the Christmas traditions of a country - Austria, that is - more than most of the world's population could hope for: Princess Henriette of Nassau-Weilburg, aunt of Grand Duke Adolph of Luxembourg and a member by marriage of the House of Habsburg-Lorraine. Fearing the invasion of his own Principality after the capture of nearby Mainz by French troops, Prince Friedrich Wilhelm of Nassau-Weilburg fled his country together with his family in 1796. He, his wife, née Burgravine Louise Isabelle of Kirchberg, and their oldest child - another daughter had died at the age of two - subsequently settled in Bayreuth. It was there at Schloss Eremitage where another two children were born. One of them was Princess Henriette Alexandrine Friederike Wilhelmine, born on October 30, 1797. Four years later, the family returned home. Princess Henriette was educated together with her two brothers, the future Duke Wilhelm of Nassau, father of Adolph of Luxembourg, and Prince Friedrich Wilhelm, in languages and sciences. She also had a special talent for music. At the age of 17, she met her future husband, Archduke Karl of Austria, third son of Emperor Leopold II and his wife Infanta Maria Luisa of Spain. 26 years her senior, the princess' future husband was a famous Austrian field-marshal and victor of the Battle of Aspern-Essling against Napoleon I of France. Despite their age difference, theirs was a happy marriage. 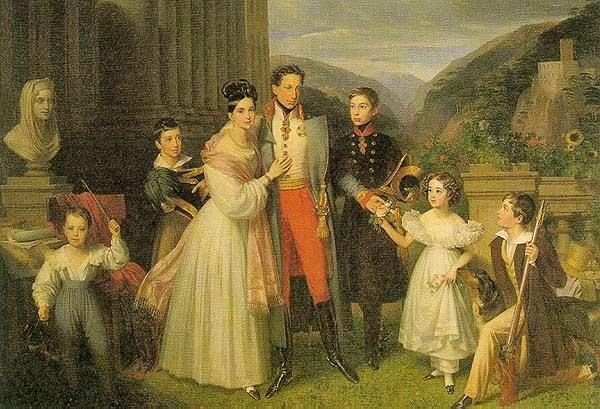 The couple married on September 15, 1815, in Weilburg despite their notable religious differences: Archduke Karl was a Roman Catholic and Princess Henriette a Calvinist. However, she did not convert after her marriage and remained a Protestant until her death. Two months after their wedding, the newly weds settled at the Archduke's Palais in the Annagasse in Vienna. For Christmas 1816, Archduchess Henriette set up her first Christmas tree, a tradition already widespread in most Protestant areas of the German states. However, this first Christmas tree went largely unnoticed. 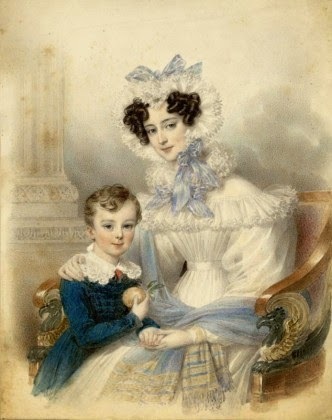 Between 1816 and 1827, Archduchess Henriette gave birth to seven children, six of whom survived to adulthood: Archduchess Maria Theresa, the future Queen of The Two Sicilies; Archduke Albrecht, Duke of Teschen; Archduke Karl Ferdinand; Archduke Friedrich Ferdinand; Archduchess Maria Karoline; and Archduke Wilhelm Franz. On December 24, 1821, Archduke Karl gifted his young wife with the re-edified Schloss Weilburg near Baden in Lower Austria as a summer residence. By December 1823, the Archduke and Archduchess and their family moved to a building today known as the Albertina and as the home of one of the world's finest art collections. Archduke Karl had inherited the palace from his childless but very wealthy uncle Duke Albert of Saxe-Teschen. For Christmas of that year, Archduchess Henriette had a Christmas tree set up in the audience room. The tree was richly decorated with candles, sweetmeat and apples - something unheard of in the Austrian Empire. For Christmas Eve, many of their Habsburg relatives joined the family at their palace to celebrate, sing and pray together. However, not all of them were in awe of the Protestant tradition: Henriette's brother-in-law Archduke Johann, known as much for his philanthrophic and economical character as for marrying Anna Plochl, the daughter of a postmaster, did not like the abundance of precious candles and food used to decorate a tree. He also criticised that the Christmas tree had replaced the Catholic crib. Another brother-in-law of the born Princess of Nassau-Weilburg, however, apparently took a greater liking to the tradition: The following year, Emperor Franz I had a festively decorated Christmas tree set up at the Hofburg as well. From the centre of Habsburg power, it soon spread all over the country. How much Archduchess Henriette knew about being the inventor of a new Austrian Christmas tradition remains unknown. She died only a few years later on December 29, 1829, in Vienna from scarlet fever and pneumonia at the age of 32. To this day, she remains the only Protestant buried in the Imperial Crypt of the Capuchin Church. This was allowed by order of her brother-in-law Emperor Francis I against the will of the Catholic clergy stating "She dwelt among us when she was alive, and so she shall in death". On Monday, the International Peace Light arrived at Schloss Vaduz in Liechtenstein. The annual event is celebrating its 28th anniversary this year, with the original Peace Light from Bethlehem campaign started by the Austrian Broadcasting Corporation. Traditionally, a child known as the Peace Child, or, Friedenslichkind, is selected from Upper Austria to go to Bethlehem and gather the Peace Light from the Grotto of the Nativity. 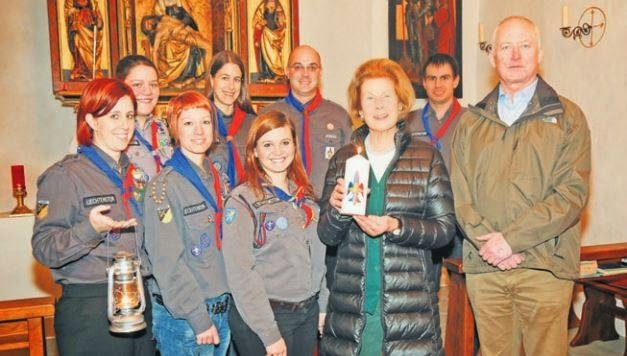 The light is then flown back to Austria, where it is distributed to Scouts and Guides for sharing throughout 30 countries. 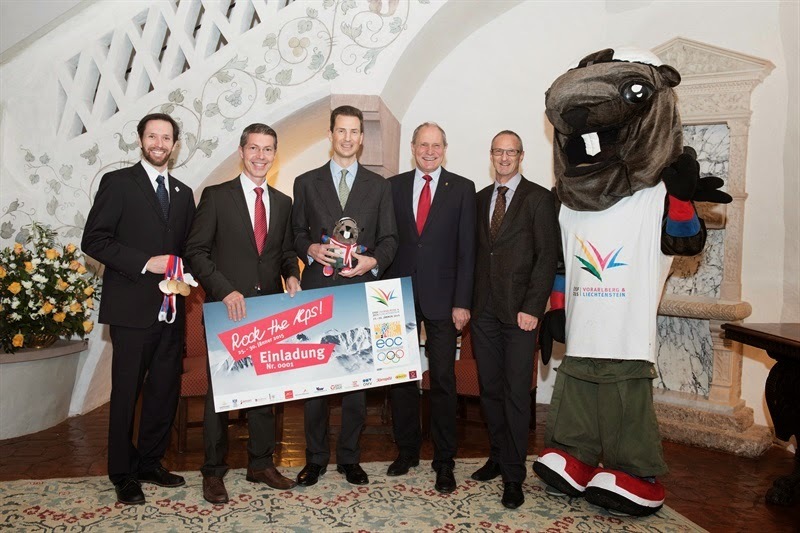 The Peace Light made its way to Liechtenstein, where it was welcomed by Prince Hans-Adam and Princess Marie at Schloss Vaduz. Additionally, the Peace Light made its way to the government building, where it was received by Adrian Hasler and Albert Frick, and then it traveled to the police, the prison, and other organizations. This year's Peace Message is "Sharing happiness will bring Peace." In "better late than never," news, Prince Max participated in the Alumni Dialogue at EBS Universität für Wirtschaft und Recht on October 9th. Prince Max, who is a 1993 graduate of EBS, spoke to students about traditional and alternative investment models. The event was held in Oestrich-Winkel. Also, back on May 6th, Prince Max presented at the Prestel & Partner Family Office Forum in Wiesbaden. 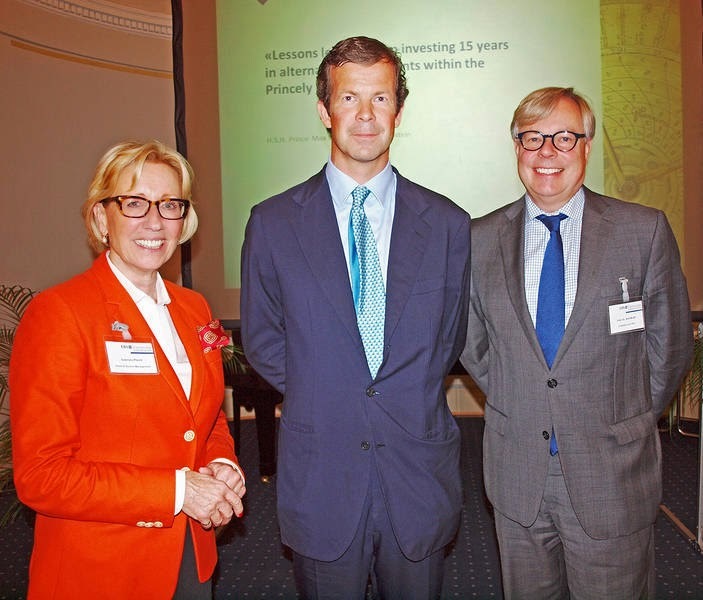 Prince Max's presentation, entitled The Princely Portfolio, focused on investment strategies with a long-term focus. 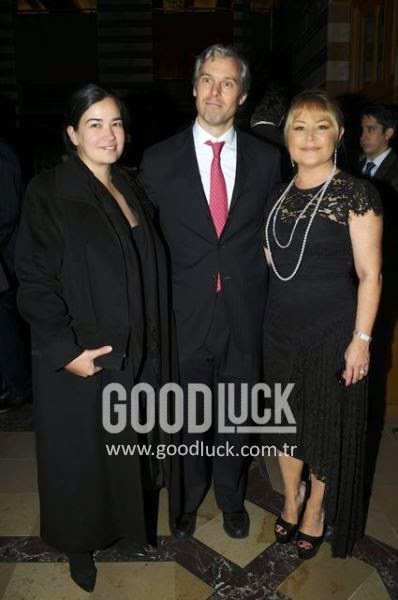 In a kind of a one-two punch for us - this being number two and the Swiss-Turkish Economic Forum number one - Prince Rudolf and Princess Tılsım attended a memorial for Hacı Sabancı back in late November. A second generation member of the renowned Sabancı family, he was a Turkish businessman and philanthropist. Hacı Sabancı died on June 24, 1998 in İstanbul after a two-year struggle against lung cancer. Prince Rudolf, youngest son of Prince Philipp and Princess Isabelle of Liechtenstein, and his Turkish-born wife Princess Tılsım recently were among the guests of the 10th Swiss-Turkish Economic Forum held at the İTÜ ARI Teknokent of the Istanbul Technic University. 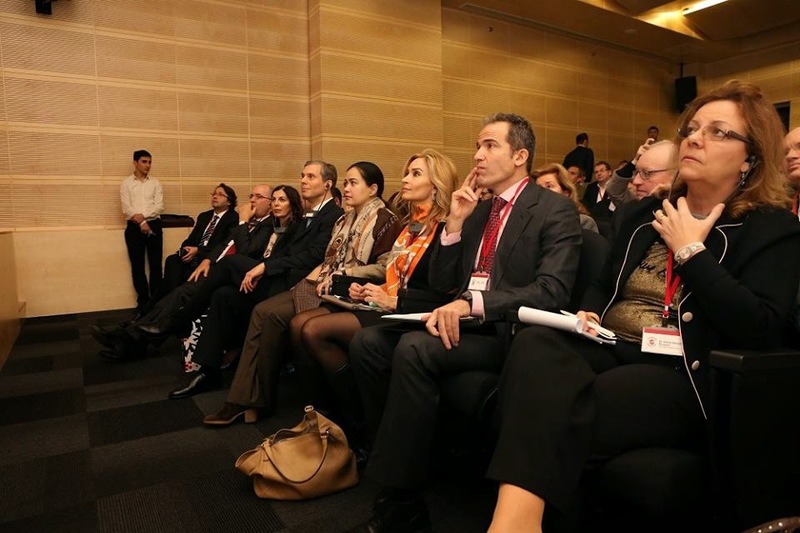 The event was organised by the Swiss Chamber of Commerce in Turkey (SCCT) and held on December 10. The topic of this year's forum was "Can Family Businesses Innovate?". Looking at the pictures, it seems that Prince Rudolf was among those to give a speech at the event. They can't leave it, can they? The Grand Ducal Family loves to wear out each others clothes though let's be honest, if our mothers, sisters, aunts or cousins had a wardrobe full of designer gems, we would probably do the same all the time. The dress and jacket above were first worn by Princess Alexandra for national day 2008 as well as pictures taken by Lola Velasco around the same time and later by Hereditary Grand Duchess Stéphanie for a visit to Steinfort in 2014. This time around, even the Princely Family is in on the clothes sharing action with a sentimental favourite of mine: On national day in 2014 Sophie von Lattorff, daughter of Princess Tatjana and her husband Philipp von Lattorff, wore a dress previously worn by her cousin Princess Marie-Caroline for the wedding of little Sophie's parents in 1999. 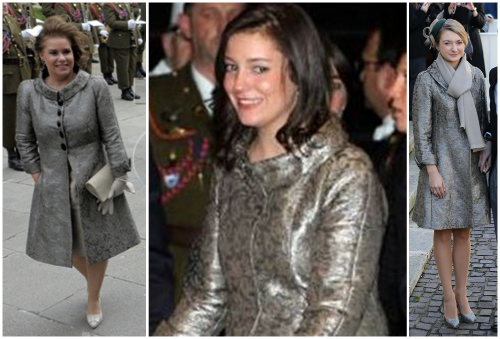 So turns out that the coat Hereditary Grand Duchess Stéphanie wore to Archduke Christoph's wedding in December 2012 does not originate with Princess Alexandra, who wore it to her grandfather's 90th birthday party in January 2011 (as previously mentioned in the first post of this kind), but with Grand Duchess Maria-Teresa. The Grand Duchess sported the coat - including some very obvious buttons that were later obviously removed - for an official visit of former German President Christian Wulff to Luxembourg in 2010. 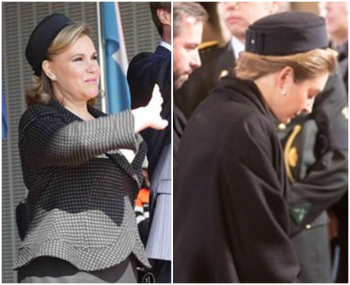 And as (almost) always, there was also some hat sharing going on: For the funeral of Queen Fabiola of Belgium Hereditary Grand Duchess Stéphanie borrowed a black pillbox hat previously worn by her mother-in-law on a number of occasions. Not all clothes though are handed to someone else. Either these two dresses worn by Grand Duchess Maria Teresa were two strikingly similar ones to begin with or the long dress lost to the scissors et voilà, it became a short dress. 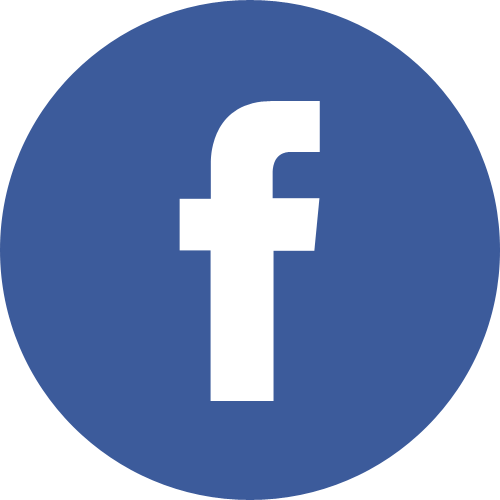 For more clothes sharing action within the Grand Ducal and Princely Families, have a look at the previous three posts of this series: Here, here and here. 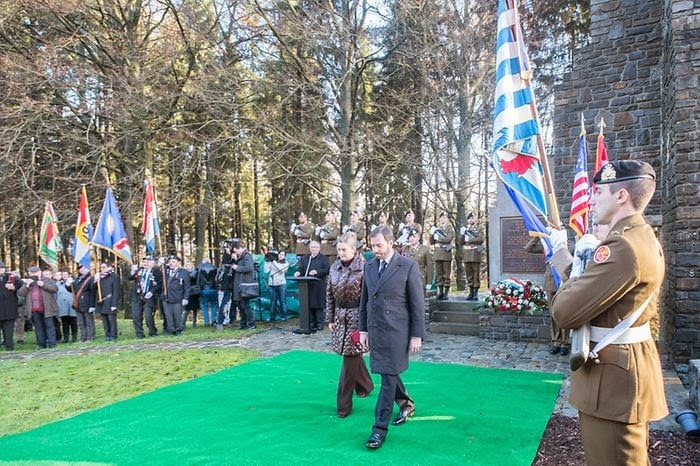 Turns out we missed a bit of news back in November: On the 8th of last month, Grand Duke Jean watched children (and adults) planting trees in Fischbach. The day was Luxembourg's Dag vum Bam or Day of the Tree. 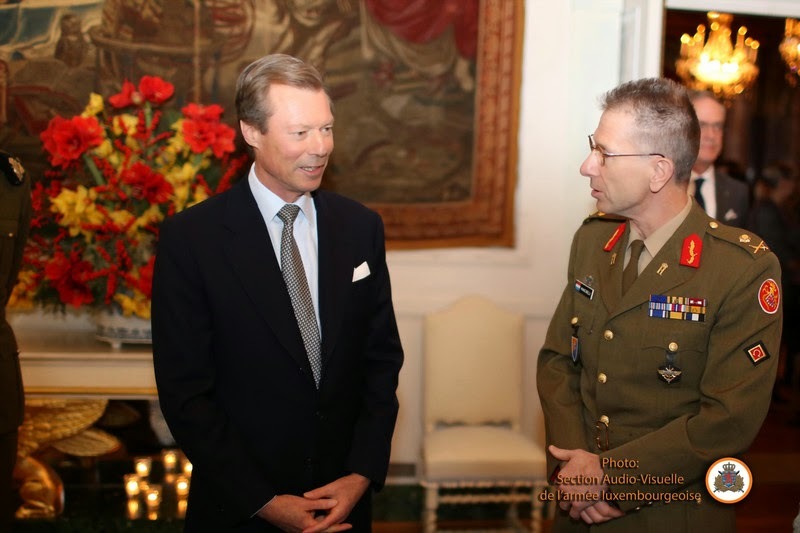 Inititiated by the Stëftung Hëllef fir d'Natur, that Grand Duke Henri is the patron of, the Dag vum Bam has been a patronage of Grand Duke Jean since 1997. The children were obviously delighted to greet the Grand Duchy's former head of state. A video of the day can be found at RTL. 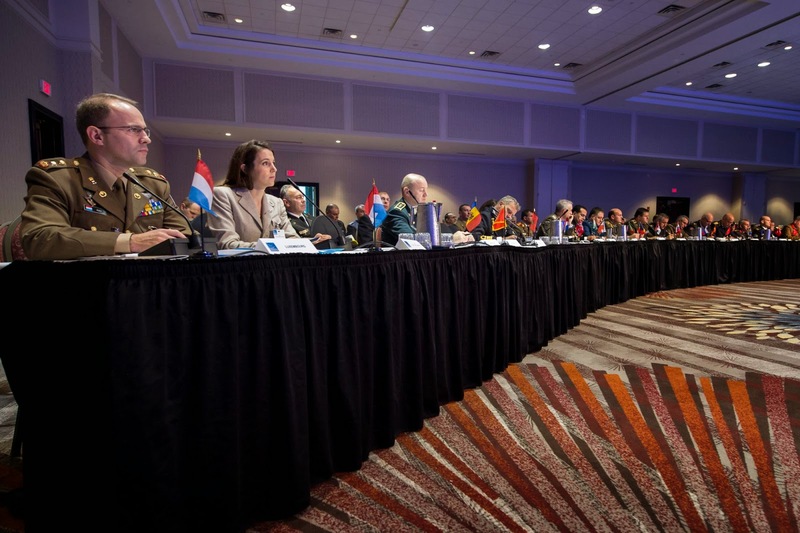 Princess Tessy was among the more than 300 military and civilian leaders from all 28 NATO nations and partner nations to attend the 2014 Chiefs of Transformation Conference (COTC) at the Waterside Marriott Hotel in Norfolk, Virginia, from Tuesday to Thursday this week. 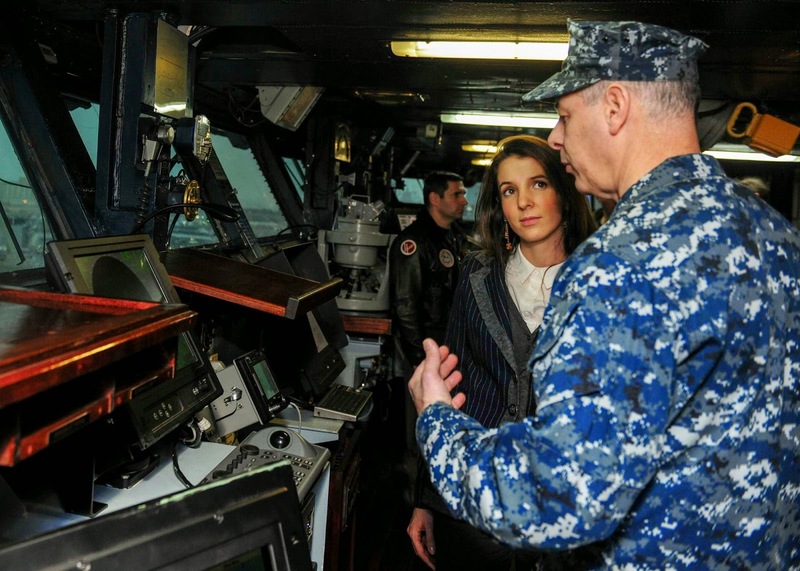 Previously the princess had already visited Headquarters, Supreme Allied Command Transformation (HQ SACT) and the USS Theodore Roosevelt. About her attendance at the conference Princess Tessy said, "For me as an academic, I've learned a lot of what Transformation is and especially ACT. I've met some truly wonderful and inspiring people who all in own rights love their nation and really want to move forward to create a sustainable peace, togetherness and cooperation within one world. For me it was a beautiful experience..."
"...It was incredible to see how each person communicated, exchanged ideas, worked together, created new plans," she continued. "It was really an enjoyable moment to be in the middle of them and listen and see Transformation happening in front of my eyes." More information and pictures on the website of the NATO. On Thursday, Prince Wenzeslaus, second son of Prince Philipp and Princess Isabelle, attended the Annual Charity Dinner hosted by the AEM Association Children of the World for Rwanda. At the event held at the Held at Espace Cardin in Paris, he was pictured together with Hungarian model Barbara Palvin. Other royal and noble guests at the charity dinner inluded the Princess of Venice and Piedmont (a.k.a. Clotilde Courau) and Princess Alessandra Borghese. On Wednesday, Princess Marie and Hereditary Princess Sophie paid more visits to retirement homes, St. Martin in Eschen and St. Laurentius in Schaan. 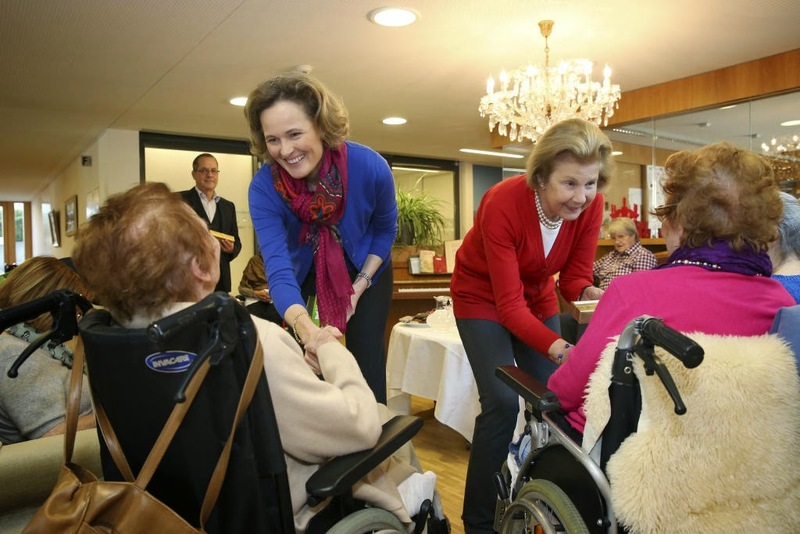 These visits are a continuation of the Christmas tradition amongst the Liechtenstein ladies, to meet with those in hospitals and retirement homes in the weeks leading up to the holiday. There are no pictures of the visits yet, but they'll be added if any are made available. This evening at 6:30, Hereditary Grand Duke Guillaume was in attendance at the closing ceremony of the centenary celebration for the FNEL (Fédération Nationale des Eclaireurs et Eclaireuses du Luxembourg), or the National Federation of Scouts and Girl Scouts of Luxembourg. The event began with an academic session and then concluded with a vin d’honneur, during which Guillaume visited with the Scouts (and Girl Scouts, of course!). The FNEL was founded in 1914 and encourages all participants to embody the organizational motto “Zesumme fir eng besser Welt,” or “Together for a better world.” The centenary event was focused around honouring the tradition of volunteering that all Scouts and Girl Scouts represent. No photos spotted just yet, but they'll be added if they show up. More photos available at the Cour website! The Princess Marie and the Hereditary Princess Sophie continued their visits to Liechtenstein's hospitals and retirement homes today. The mother- and daughter-in-law duo visited the St. Theodul home for the elderly in Triesenberg today. 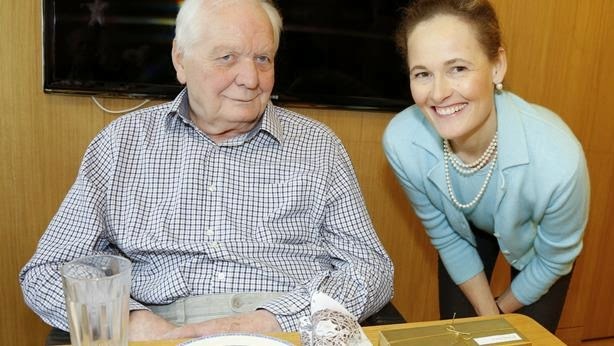 It's a tradition in the Principality that the female members of the family visit the retirement homes and hospitals througout the country in the weeks before Christmas. The Princess and Hereditary Princess already made similar visits in Vaduz on Friday. More pictures of the day at Volksblatt. Maréchal de la Cour Pierre Bley has given an interview to the print edition of Wort in which he talks about the finances of the cour grand-ducale and states that they have reached the limit when it comes to budget cuts. Bley warns that one shouldn't look at the money the Grand Duke receives too one-sided and explains that the money given by the state does not cover all the expenses of the official duties of the Grand Ducal Family. Thus the Grand Duke pays part of it out of his private pocket. However, Pierre Bley insists that the Grand Ducal fortune is nowhere as big as media reports suggest dismissing them as a fantasy. 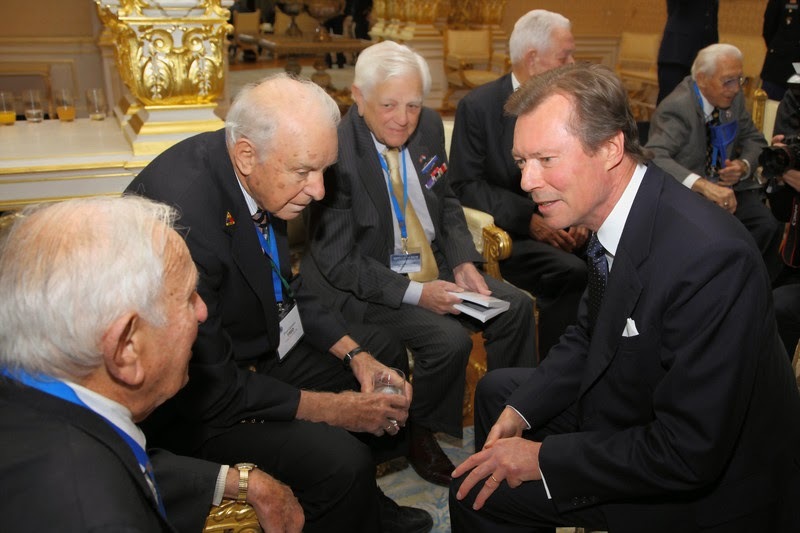 Unsurprisingly, the court marshall did not go into any further details of the Grand Duke's private finances and the financial situation of the monarchy in general. In 2014, the cour diminished the operating costs, which make up around 10 percent of its total expenditure, by 10 percent. Monsieur Bley does not see any further potential to cut the costs adding that the staff costs, which will 8.1 million euros next year, make up 86 percent of the Grand Ducal budget. If they would want to save any more money, they would need to lay off some of their employees. The cour grand-ducale currently consists of around 100 staff members, only ten of which are detached and directly paid for by the state while all others have to be paid by the Grand Duke using his budget. 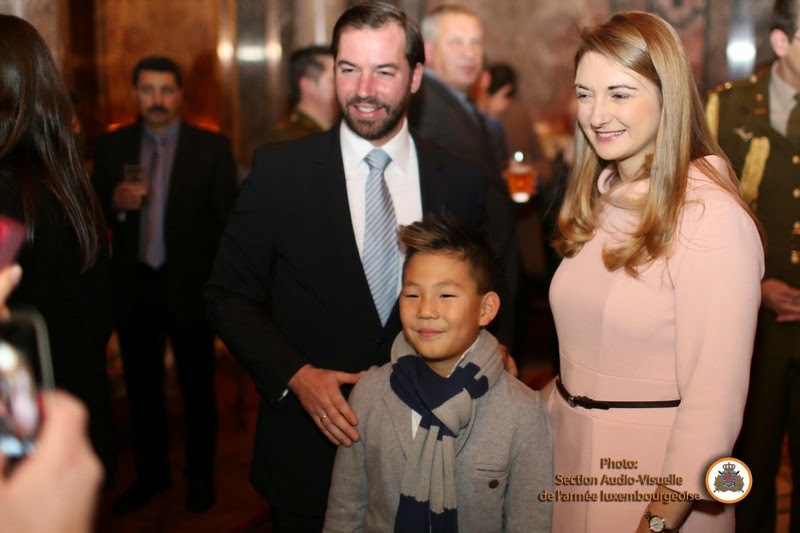 When Hereditary Grand Duchess Stéphanie stepped out in Japan for her first solo engagement to do what a royal on an economic mission does - promote their country's companies - a while ago, she did so for a company that has long and strong ties with the Grand Ducal Family, Schroeder Joalliers. As we never pass up a chance to delve deeper into the jewellery box - well, probably more like room - of the Grand Ducal Family, let's highlight one of Schroeders pieces of the grand ducal collection. This pearl necklace including a diamond and pearl pendant was made for Luxembourg's Queen of pearls, Grand Duchess Charlotte. There was hardly a day in her life that the former Grand Duchess did not wear pearls though unfortunately we haven't been able to locate a picture of her wearing this particular necklace. It might be due to the fact that the length of the necklace is a rather difficult one to wear with the fashions Grand Duchess Charlotte preferred. 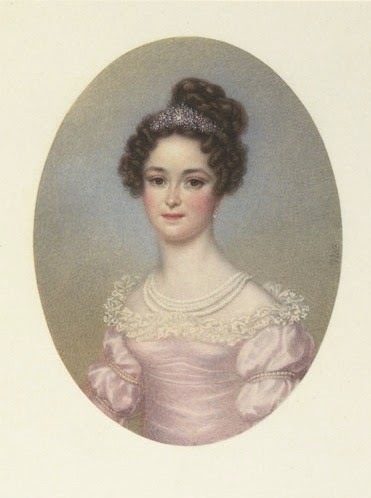 However, there were numerous occasion (including the two pictured above) during which Grand Duchess Charlotte's daughter-in-law Grand Duchess Joséphine-Charlotte sported the pearl and diamond necklace. Created by Schroeder, the necklace is made out of round south sea pearls. Established by Lambert Schroeder in 1877, the jeweller became a purveyor to the Grand Ducal Court in 1920 and remains so to this day. 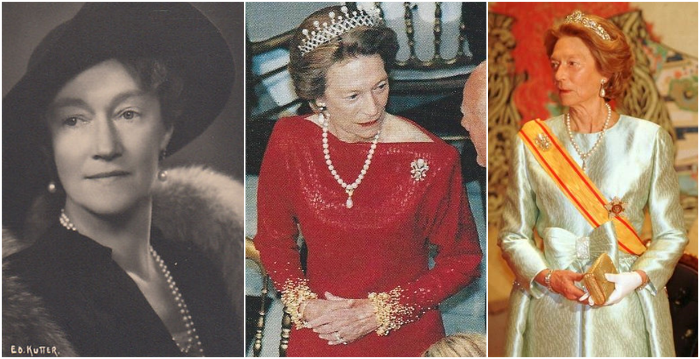 Schroeder has created and adjusted jewellery for at least three generations of grand ducal ladies including Grand Duchess Charlotte, Grand Duchess Joséphine-Charlotte and Grand Duchess Maria-Teresa over the past almost 100 years. While her husband was in Brussels to attend the funeral of Queen Fabiola, Princess Marie and her daughter-in-law Hereditary Princess Sophie visited the Landesspital hospital in Vaduz as well as the retirement home St. Florin, also located in Liechtenstein's capital, yesterday. During their visits they spent time with the patients and residents and presented them with little gifts. This tradition of the ladies of the Princely Family visiting the hospital and retirement homes of the country has existed for many, many years. During the coming days, the Princess and the Hereditary Princess will pay more visits to other such institutions. More photos of yesterday at Vaterland. 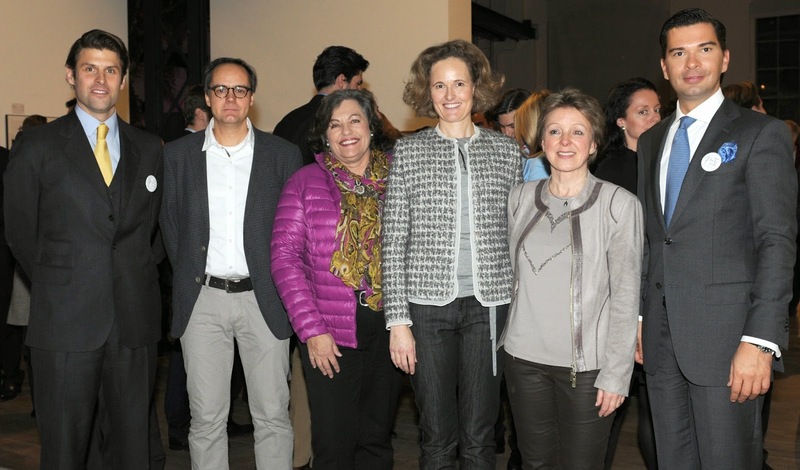 Hereditary Princess Sophie was among the guests of the charitable auction Art for Children, which took place in Zürich, Switzerland, in late November. The Hereditary Princess is the patron of the event by the organisation We Help You which raises money for disadvantaged children. 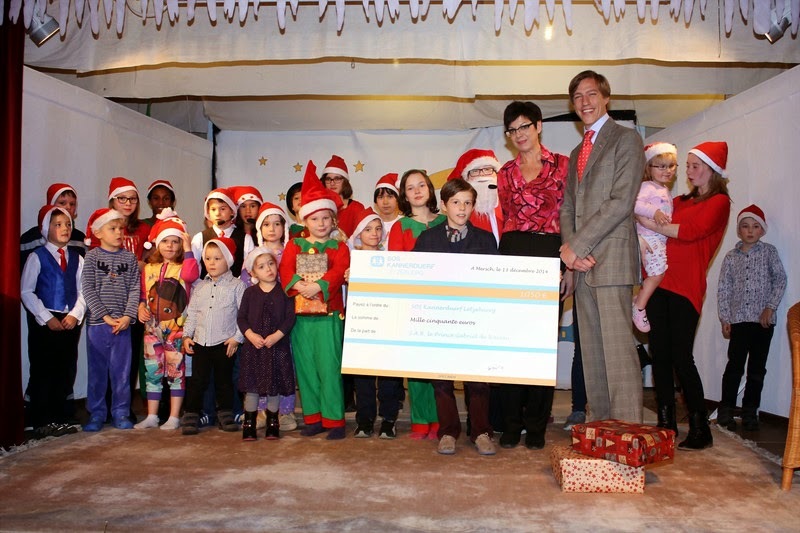 This year's auction raised 59'385 CHF in favour of Kids Kidney Care and Intensiv Kids. Other nobles involved in the charitable organisation which organises the auction are Prince Heinrich of Orsini-Rosenberg and Count Conrad of Salm-Reifferscheidt. More pictures of the event can be found on the website of Art for Children. On a rainy day in Brussels, royals and politicians from around the world gathered to pay their respects to Queen Fabiola of Belgium today. After a funeral mass at the Cathedral of St. Michael and St. Gudula, the widow of King Baudouin was laid to rest at the royal crypt of the Église Notre-Dame de Laeken. As expected, the attendance of the Luxembourg and Liechtenstein families was numerous. 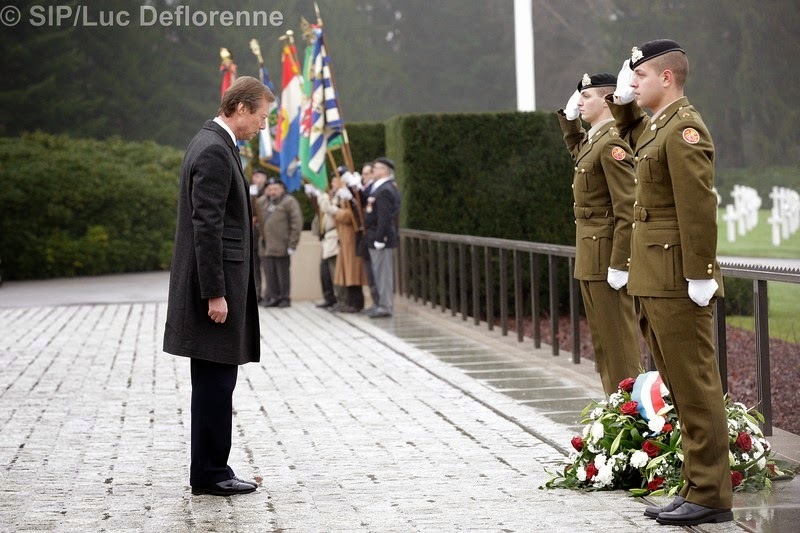 Among the mourners were Grand Duke Henri and Grand Duchess Maria-Teresa; Grand Duke Jean; Hereditary Grand Duke Guillaume (who read one of the intercessions in German) and Hereditary Grand Duchess Stéphanie. In addition, all of the Grand Duke's siblings, who are all nieces and nephews of the late Queen, were present: Archduchess Marie-Astrid and her husband Archduke Carl-Christian with their daughter Archduchess Marie-Christine and her husband Count Rodolphe de Limburg-Stirum as well as Archduke Imre and his wife Archduchess Kathleen; Princess Margaretha and Prince Nikolaus together with their three children, Princess Maria-Anunciata, Princess Marie-Astrid and Prince Josef; Prince Jean, his wife Countess Diane, his children Princess Marie-Gabrielle and Prince Constantin as well as his former wife, Hèlène Vestur; and Prince Guillaume and his wife Princess Sibilla and their four children, Prince Paul-Louis, Prince Léopold, Princess Charlotte and Prince Jean. The Princely Family was represented by Prince Hans-Adam II, his sister Princess Nora, his sister-in-law Princess Isabelle together with her youngest son Prince Rudolf, as well as the aforementioned Prince Nikolaus, Princess Margaretha, Princess Maria-Anunciata, Princess Marie-Astrid and Prince Josef. The full funeral can be watched at NOS. 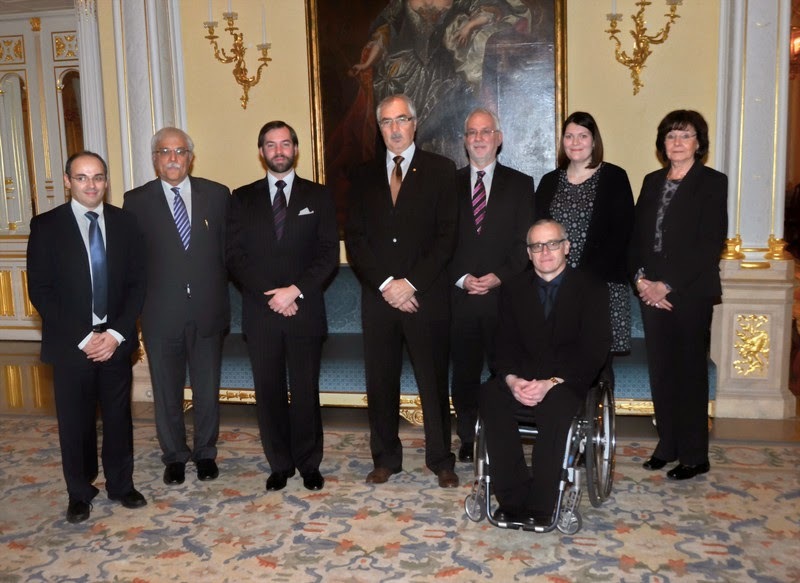 Hereditary Grand Duke Guillaume welcomed a delegation of members of the administrative council of the Association nationale des Victimes de la Route (AVR) at the palais yesterday. 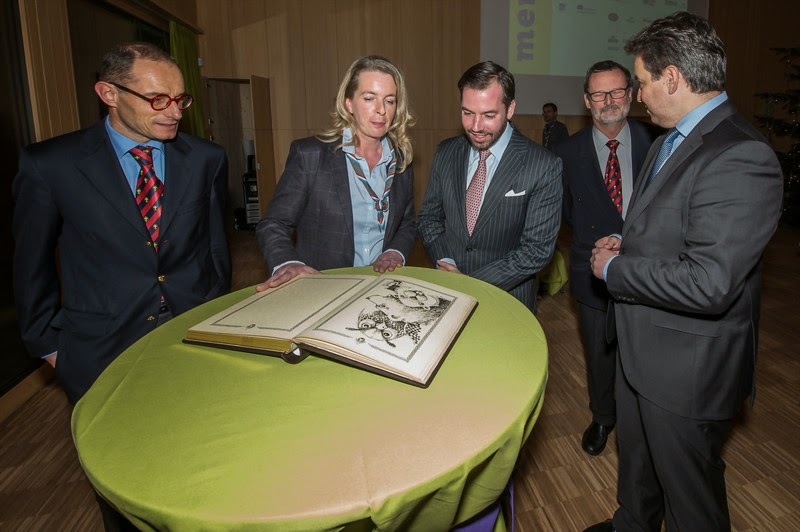 The Hereditary Grand Duke is the patron of the organisation which (in line with its name) supports victims of road accidents and their families. 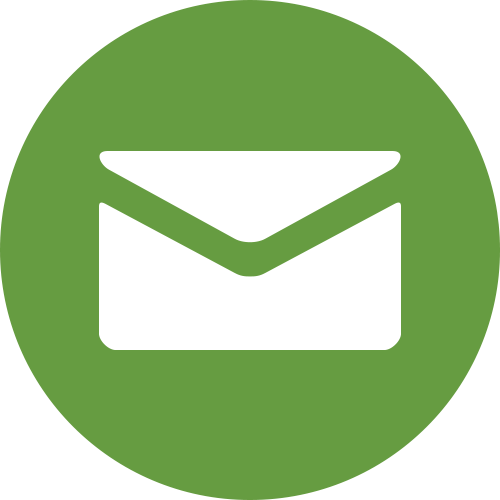 They offer a wide range of help starting with psychological and social support through to administrative support. The AVR also tries to do prevention work by educating young drivers for example. Today, Hereditary Prince Alois received four ambassadors for the presentation of credentials. They were as follows: Mr. Karel Boruvka from the Czech Republic, Mr. Moulay Mohammed Guendil from the People's Democratic Republic of Algeria, Mr. Bernardo de Sicart Escoda from the Kingdom of Spain, and Mr. José Luis Balmaceda Serigos from the Republic of Chile. Prior to the presentation of credentials, the Minister of Foreign Affairs, Aurelia Frick, paid a courtesy call to the government building. Today at 3:30, Hereditary Grand Duke Guillaume and Hereditary Grand Duchess Stéphanie were in Kirchberg to attend the swearing in of the President of the European Commission, as well as new Members of the College of Commissioners. The new president is Luxembourg native Jean-Claude Juncker who succeeds Jose Manuel Barroso. Juncker is also the former prime minister of Luxembourg, having served in that position from 1995 to 2013. Between 1989 and 2005, he also served as Luxembourg's Minister for Finances. Juncker holds the unique honor of being one of the longest-serving elected leaders in the world. Juncker's career in politics began around 1980, after he completed a law degree at the University of Strasbourg. He was elected Parliamentary Secretary in Luxembourg, and he was then elected to the Chamber of Deputies in 1984. In this role, he was appointed to Prime Minister Jacques Santer's Cabinet as the Minister of Labour. Despite being injured in an auto accident in 1989, and suffering from a brief coma, Juncker was able to return to politics and be elected once again to the Chamber of Deputies. That same year, he was given the role of Minister for Finances, and from here he rose to be Prime Minister of Luxembourg. Juncker's career has reflected a strong respect for the European Union and its goals, and he was at one time the chair of the Council of Economic and Financial Affairs. Between 2005 and 2013, Juncker served as the first President of the Eurogroup. 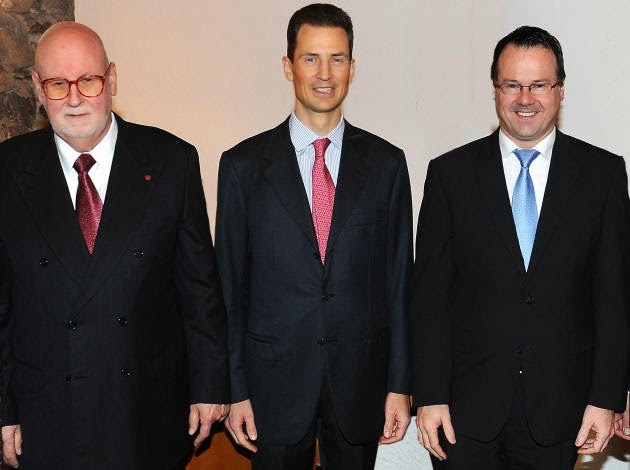 Prime Minister Xavier Bettel was also there with the Hereditary Grand Ducal couple. A short video of the event may be found here and pictures at the cour. 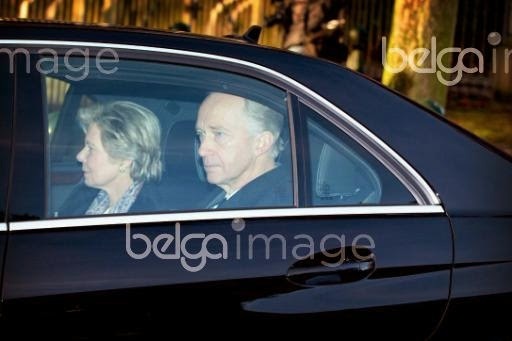 Luxembourgish sisters Archduchess Marie-Astrid and Princess Margaretha, alongside her husband Prince Nikolaus, were at the Royal Palace in Brussels today where they paid their respects to Queen Fabiola of Belgium, who died on Friday last week. Until the funeral on Friday, the body of the late Queen will lay in state at the palace. More pictures at Place Royale. 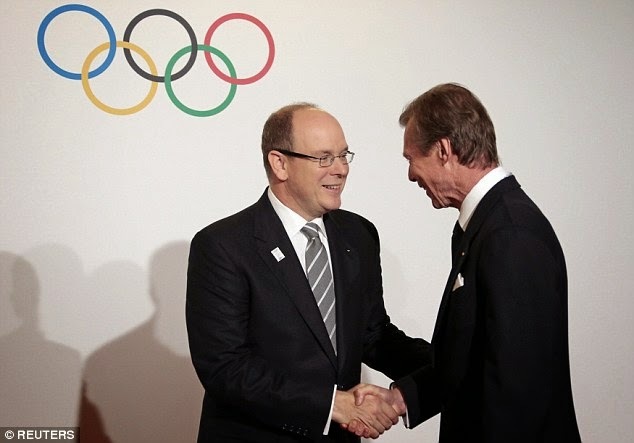 On Sunday and Monday, Grand Duke Henri was in Monaco for the 127th session of the IOC. The session made some important changes to the process of bidding to host the Olympics, as well as how Olympic activities are placed. For instance, the cost of bidding for hosting privileges will now be reduced, and the IOC will assist in providing funds to hosting cities. 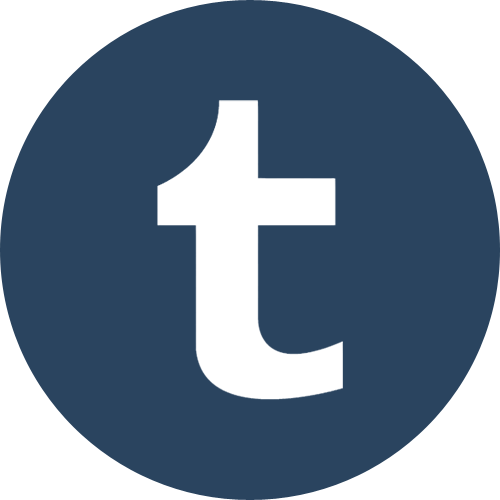 Additionally, the option remains open for multiple cities to host events, with even the possibility of multiple countries hosting separate events. Some members of the IOC, however, pointed out the cost burden this could place on those participating and attending the Olympic Games. 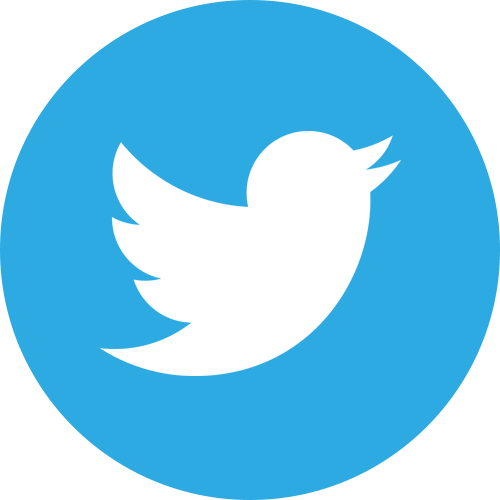 Others noted that these changes could undermine the greater spirit of unity that drives the experience of being part of the Olympics. The changes were passed unanimously, but with the reservations of different members noted for future implementation. 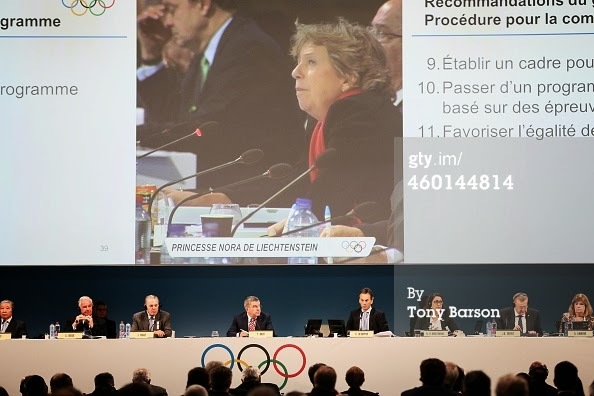 The 127th session of the IOC continues through Tuesday. Update: It appears that Princess Nora was there as well! The body of the late Queen Fabiola of Belgium were brought from the Château du Stuyvenberg, or Kasteel Stuyvenberg, where she died on Friday at the age of 86, to the royal chapel of the Château de Laeken (a.k.a. Kasteel de Laken) where she will lie in state until Friday. Princess Margaretha and Prince Nikolaus as well as Archduchess Marie-Astrid and Archduke Carl-Christian were among those who accompanied the motorcade with the Queen's remains. The Liechtenstein Red Cross recently received a new ambulance coach. On Thursday, the new vehicle was blessed by cathedral minister Peter Fuchs. 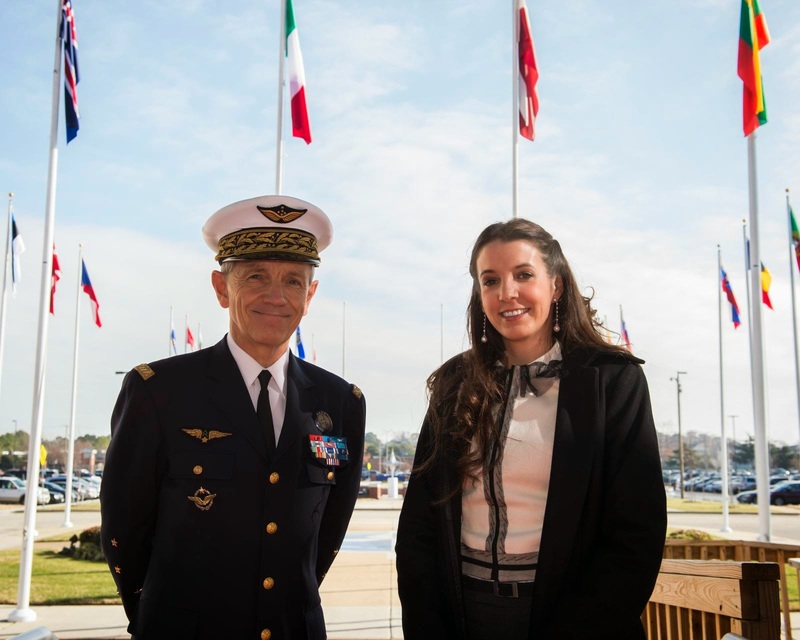 Also among the guests of the celebrations was the Princess Marie. Liechtenstein's first lady has been the President of the country's Red Cross since 1985. 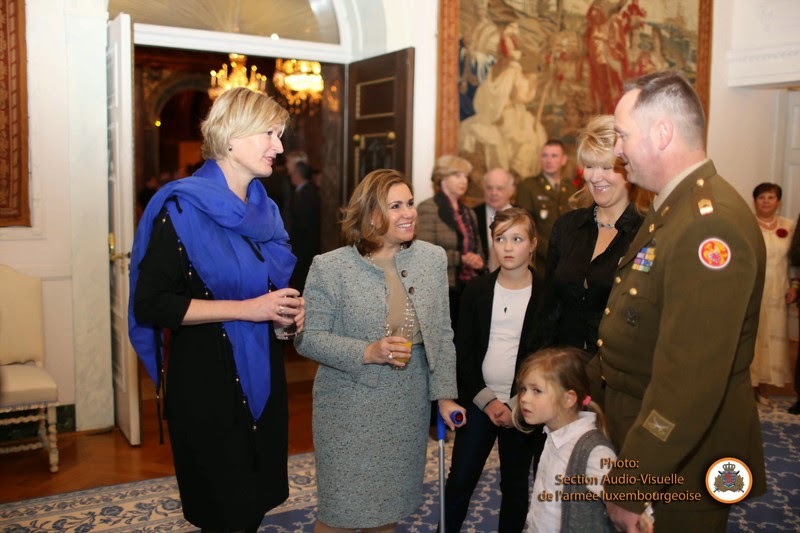 She has announced that she will resign at the end of the year and hand over the job to her daughter-in-law Hereditary Princess Sophie. 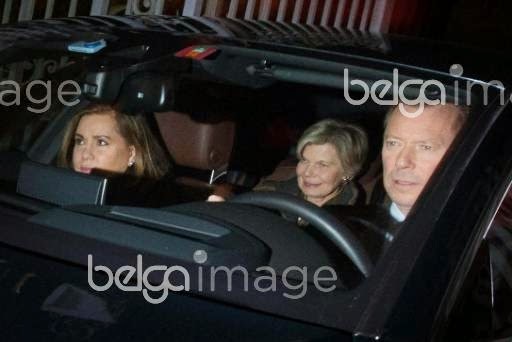 Members of the Grand Ducal Family including Grand Duke Henri, Grand Duchess Maria-Teresa and Archduchess Marie-Astrid were in Brussels today where they were seen leaving the the grounds of the royal domain in Laeken. They paid their respects to their aunt Queen Fabiola who died yesterday at the age of 86 at Château de Stuyvenberg situated in the royal domain. A video of it can be found at Belgian RTL. The funeral of Queen Fabiola will take place on coming Friday, December 12, at 10am at the Cathedral of Saint Michel and Saint Gudule in Brussels. Both the Grand Ducal and Princely Families will surely be represented numerously.